A practice genuinely concerned about you and what is most important to you attaining quality care & overall wellness. "Dr Harris was skilled, compassionate and very easy to talk to." "I'd recommend her to anyone looking for a truly compassionate and down to earth doctor." "If you feel like you have an imbalance, this is the doctor for you!" "Dr. Harris took the time to get to know me and really listened to my concerns." "Thank you so much for making me feel like I really matter." "I'm very thankful to have found Nurturing You. It was such a warm, friendly office." At Nurturing You Women's Health & Wellness, patients can get the comprehensive solutions they need for feminine care, hormonal treatments, and aesthetic services. The practice is located in the heart of Corona, California, near the intersection of Fullerton Avenue and Magnolia Avenue. 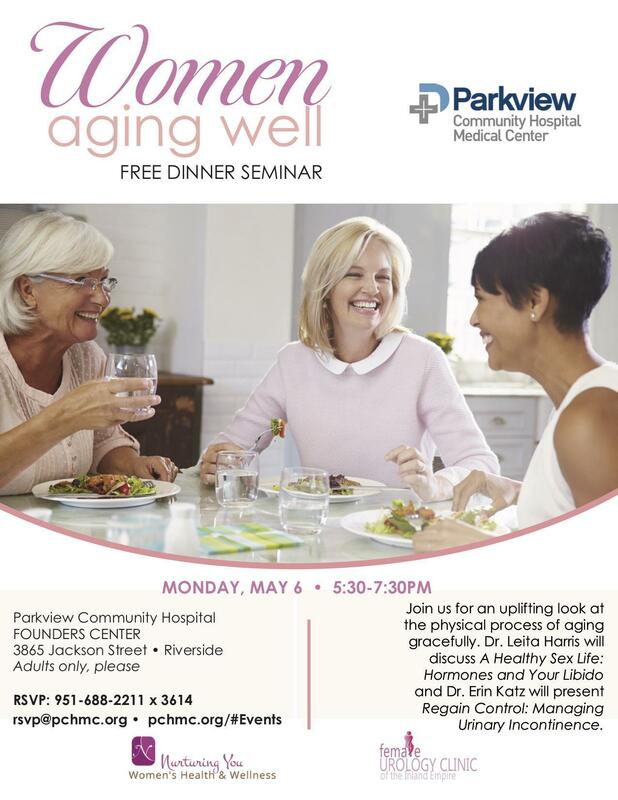 Under the direction of expert gynecologist Leita Harris, MD, who’s been caring for women in the Inland Empire since 1990, the team offers a wide variety of wellness, health, and beauty services. Dr. Harris and her team perform thorough well-woman exams, provide remedies for perimenopausal and menopausal symptoms, and even offer in-office vaginal revitalization with FemTouch™. The practice caters to both men and women who are struggling with hormonal imbalances. Because Dr. Harris specializes in personalized bioidentical hormone replacement therapy options, patients can expect effective relief for weight fluctuations, mood swings, and sexual dysfunction issues associated with low hormone levels. Nurturing You Women's Health & Wellness team members are known for listening to patients and discussing their concerns. Dr. Harris and the team integrate individual needs into a patient’s customized treatment plan and provide several options for care, including nutrition and lifestyle coaching. Plus, because Nurturing You Women's Health & Wellness is home to some of the most advanced aesthetic systems available, patients can enhance their appearance with non- and minimally invasive services. The practice even provides skin tightening and wrinkle reduction solutions with the revolutionary Cynosure® TempSure™ Envi system. Patients of the practice appreciate the team’s compassionate and nurturing demeanor during appointments. Dr. Harris and her team offer flexible scheduling available throughout the week for both new and existing patients. Dr. Leita Harris has been delivering health care to women in the Inland Empire since 1990. We currently accept Cigna PPO, AETNA PPO and Blue Shield Health Insurances for Gynecologic care and Hormone follow up visits. Specialized Hormone Consultations (First visit), Pellet procedures and Femtouch are out of pocket expenses (cash, check, credit card, Care Credit, Flexible Spending Account (FSA)/Flex Plans accepted). ~ Deductibles are collected at the time of visit. Please contact our office to receive a quote for your visit. Dr. Harris' services at WellMax are concierge treatments not covered by private insurance. Dr. Harris & Nurturing You is expanding to the desert! Dr. Harris is expanding to the desert! Did you know that heart disease is the leading cause of death in the United States? One in four people die from it each year, according to the Centers for Disease Control and Prevention, and millions more have it or are at risk of developing the disease. Heart disease is currently the number-one cause of death among women in the U.S., killing more than all cancers combined. "Dr. Leita Harris is kind and compassionate. She takes the time to listen to my concerns and address them." "Dr. Harris is very understanding and listened to every concern. I appreciate the time she took with me to explain things in detail." "Excellent customer service! A place where quality of care is valued and you don't get the feeling of being rushed or pressured into snap decisions."